Analogic has been in the test equipment manufacturing industry for more than 40 years. Its mission is to solve complex engineering problems through creative innovation. Analogic’s main market is the health care industry, but this brand is also a manufacturer of equipment for airports and engineers. Analogic develops technologies used for magnetic resonance imaging, digital mammography, computed tomography, and ultrasound in hospitals around the world. Analogic has also created a state-of-the-art security system for airports, improving consumer safety and reducing wait times. 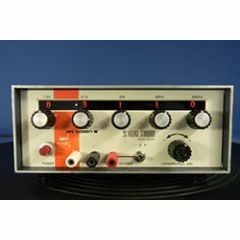 Shop used and refurbished Analogic analyzers, calibrators, digitizing plug-ins, precision digitizers, direct current voltage standards, and multifunction waveform synthesizers at ValueTronics.com.